Is RCM Outsourcing the Best for Your Orthopedic Practice? Running an orthopedic practice can be difficult. In 2017, orthopedic surgeons have to simultaneously run a business and still be in control of their clinic and operating room. Every year surgeons have to face the challenges of the healthcare environment changing, including increasing capital costs, lower reimbursements, and following current data and quality reporting requirements. Although physicians would rather focus more on their patients, they still need to make the business side of their practice a high priority in order to be successful. But the pressure to maintain your orthopedic practice doesn’t have to just fall on you. Outsourcing your revenue cycle management (RCM) can help you find a balance between business and taking care of your patients. Below, we discuss why RCM outsourcing is the best option for your orthopedic practice. Providing excellent care to your patients should be your number one priority. But when your focus turns to billing problems, denied claims, and past-due invoices – you become less and less focused on your patients. However, by outsourcing your practice’s RCM, you can improve your revenue, efficiency, and profitability in your office. Listed below are the benefits RCM offers your orthopedic practice. By outsourcing your RCM, you can improve your practice’s cash flow. Outsourcing helps your practice determine the eligibility of your services, identify copays and deductibles correctly, verify coverage, ensure clean claims and collect payments from patients at the time services are provided. Along with denial management, appeals process services – RCM outsourcing services make sure your orthopedic practice gets paid in a more efficient and cooperative manner. The best way to take control of your practice’s reimbursements is outsourcing your medical billing services. 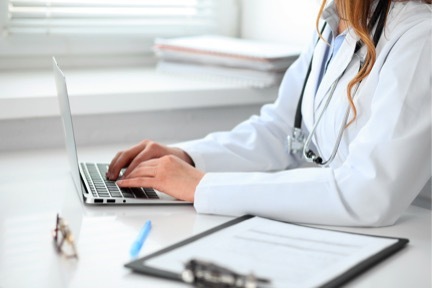 RCM outsourcing experts maximize reimbursements for your practice through optimized coding and documentation, rigorous management of appeals and denials, submitting claims on time and improving compliance. By outsourcing, coding and documentation will be reviewed to decide on the best strategy for maximizing reimbursements. Experts will ensure your documentation tells the full story and provides sufficient information to support all entitled reimbursements due the first time around. Outsourcing your medical billing takes the burden off your shoulders. By allowing an RCM team to take the lead, you can focus on other aspects of your orthopedic practice while they implement new methods to increase profitability. RCM industry experts work to make your practice more profitable by helping you become more efficient. Experts will create a strategic service plan focused on an effective way to measure, manage and maximize reimbursements, collections, and profitability for your practice. With a more efficient plan, your practice will be able to boost its revenue and lower overhead costs to make it as profitable as possible. The healthcare industry is constantly changing and evolving. With the assistance of outsourced revenue cycle management, your practice doesn’t have to worry alone about keeping up with all of the new changes. RCM experts can create an effective revenue cycle strategy to keep your practice compliant with the changes in government regulations and payor policies while maximizing your reimbursement. Do you need help making your orthopedic practice’s revenue cycle management successful? With over 30 years of experience in revenue cycle management for orthopedic practices, HIS makes sure your practice doesn’t leave any money on the table. We provide excellent RCM services that maximize reimbursements, increase efficiencies and make your practice more profitable. Contact us today to outsource your orthopedic revenue cycle management.